يقع Macquarie University Village في منطقة مشهورة للغاية في المدينة. هذا الفندق هو من الخيارات الشائع بين المسافرين. يمكن من هنا للضيوف الاستمتاع بسهولة الوصول إلى كل ما تقدمه هذه المدينة النابضة بالحياة. كما يمكن الوصول بسهولة إلى عدة معالم سياحية قريبة. 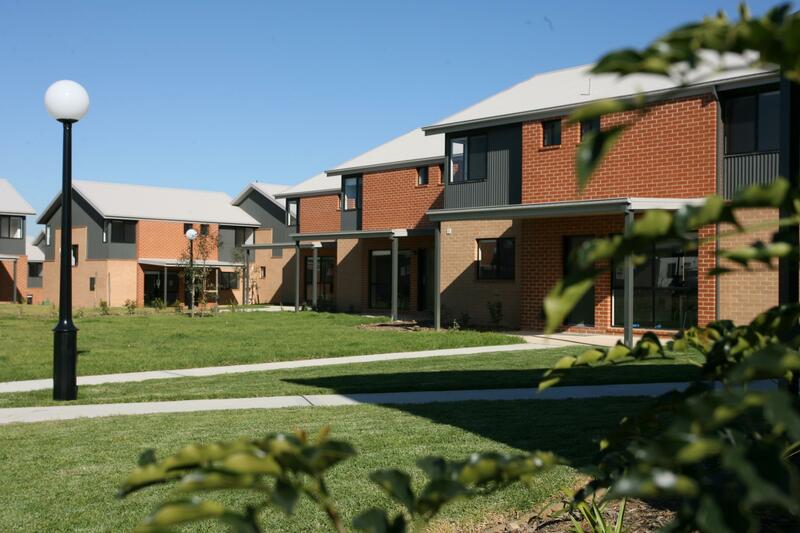 يعمل Macquarie University Village على ضمان إقامة مريحة لضيوفه من خلال خدماته الممتازة وحسن ضيافته. يقدم الفندق فرصة للاستمتاع بشريحة واسعة من الخدمات بما فيها: تخزين الأمتعة, واي فاي في المناطق العامة, صف السيارات, غرفة عائلية, مرافق للشواء . يمكن للنزلاء الاختيار من ضمن مجموعة من الغرف المصممة بعناية لتعكس جواً من الراحة، والتي يتجاوز عددها 120. يقدم الفندق العديد من الفرص للاستجمام كمثل مسار جولف - ضمن 3 كم, حديقة. يشكل Macquarie University Village بخدماته الراقية وموقعه الممتاز، قاعدة مثالية للاستمتاع بإقامتك في المدينة. يرجى العلم أنه يمكن الحصول على إذن لانتظار السيارة من مكتب الاستقبال، ويجب عرضه على تابلوه السيارة. يرجى المتابعة بحذر والانتباه للمشاة عند القيادة في العقار. يكون مكتب الاستقبال مفتوحًا من الساعة 9 صباحًا حتى الساعة 6 مساءً خلال أيام الأسبوع العادية ويكون مغلقًا خلال عطلات نهاية الأسبوع. يجب على النزلاء الذين سيصلون في وقتٍ آخر غير الأوقات المذكورة أن يتصلوا بالعقار مباشرةً قبيل وصولهم؛ وذلك حتى يمكن إجراء ترتيبات بديلة. يُرجى إطلاع العقار على الموعد التقريبي لوصولك في خانة "طلبات خاصة" عند الحجز. This is a step up from a hostel. My room was very smelly, smelt of mold and sewerage, the smell in the bathroom was worst, had to open window wide. However, my colleague had room that had no smell at all. Very Good. Not well signposted and had to ask for directions. Okay. But the grout in the ensuite tiles (shower, basin and floor) needed cleaning, there was a cleanable stain across the doorway, and the double bed against the wall as well as having to be pulled out away from the wall, meant one person had no bedside table. There was no tea-making facility in the room - one had to go downstairs to a common area where there were heaps of people's food on the counters. It was odd that the partner sought access to wi-fi ($14) only to find, eventually, that the access had gone to the other partner (who did not need it) and not to him. Parking was in short supply and tricky due to people parking in the turning area, especially in the entrance to the check-in area. The ensuite bathroom, lots of power points, built in desk. I think the advertising blurb for this accommodation should say that the shared kitchen facility has no cutlery or crockery and no cooking utensils. Therefore, if one wants to cook a meal, one has to provide not just your own food, but every cooking utensil and even your own glass. 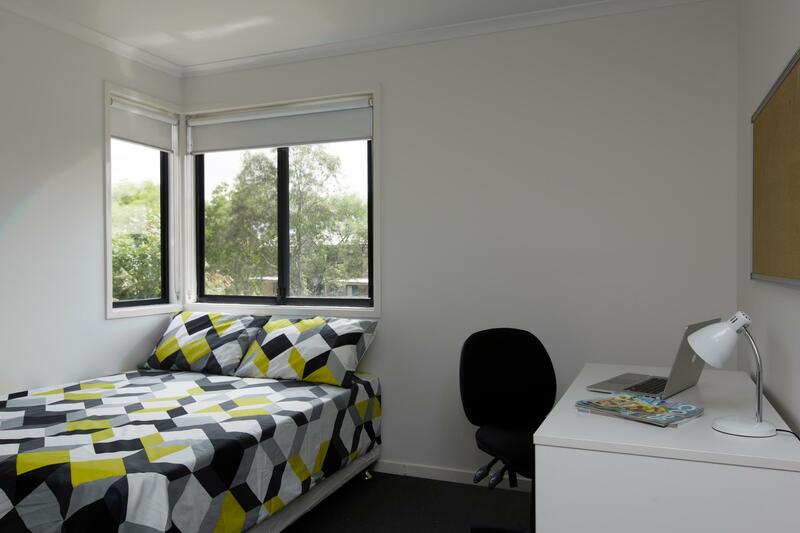 I think that the Macquarie University Village should provide these items in the shared kitchens if they're going to rent out their rooms to the public. I arrived on a Sunday afternoon and the reception wasn't open and no explanation anywhere on how to get into your prepaid accommodation. Given that reception only operates on weekdays, one would have thought that there would be some sort of notice or information on how to contact someone to register and obtain your key. I stumbled on the intercom outside the main doors of the Administration block by accident and managed to rouse up a Resident Advisor who helped with registration and the key and had me follow him in my car to the accommodation (some 300 metres away). It was also clear that the cleaners had done a very cursory job of cleaning my room after the last guest had left. The bed was only semi made (one wondered if the sheets had been changed) and there was a rubbish receptacle in the bathroom that still had some rubbish in it. However, there was a clean towel and bathmat, neatly folded, so I had to presume the cleaners had been in and that they had also changed the bed linen, despite the semi made bed! Overall, it was an "experience" staying at the Village, which with some thought from the administration would have been vastly improved with a few more simple amenities, like kitchen provisions in the shared kitchen and a glass in the room, a bed-light, another pillow, maybe some coat hangers in the closet etc. 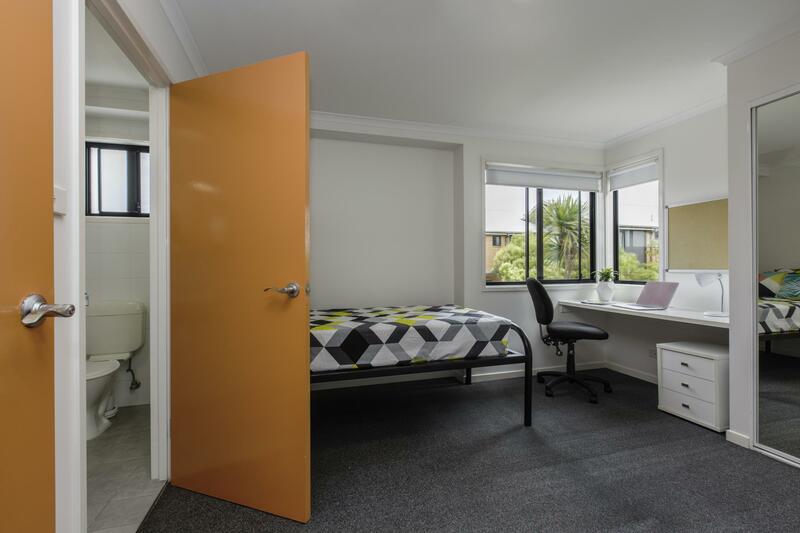 If the university is going to rent out their student accommodation to the public, and advertise it on hotel sites such as yours, then it needs to get its act together. It is a cheap hotel next to the University. Actually it is university accommodation. It is good for student or solo traveler for short stay.